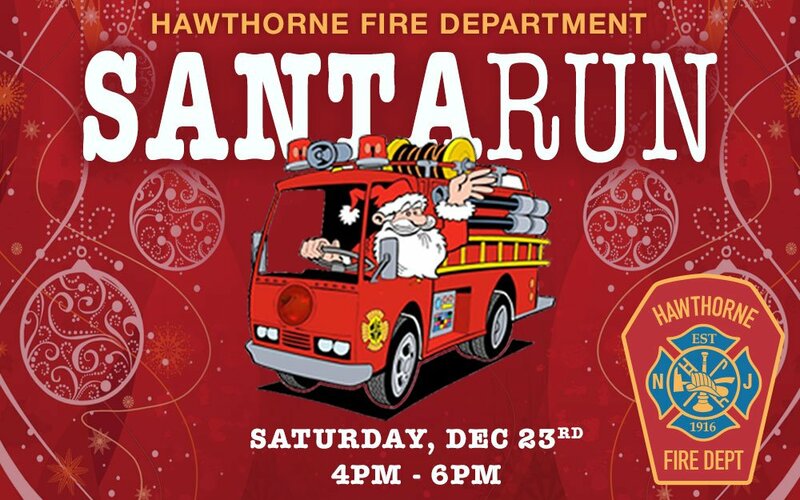 On December 23rd from 4pm – 6pm, the Hawthorne Fire Department will be traveling through the Borough of Hawthorne in their annual Santa-RUN. 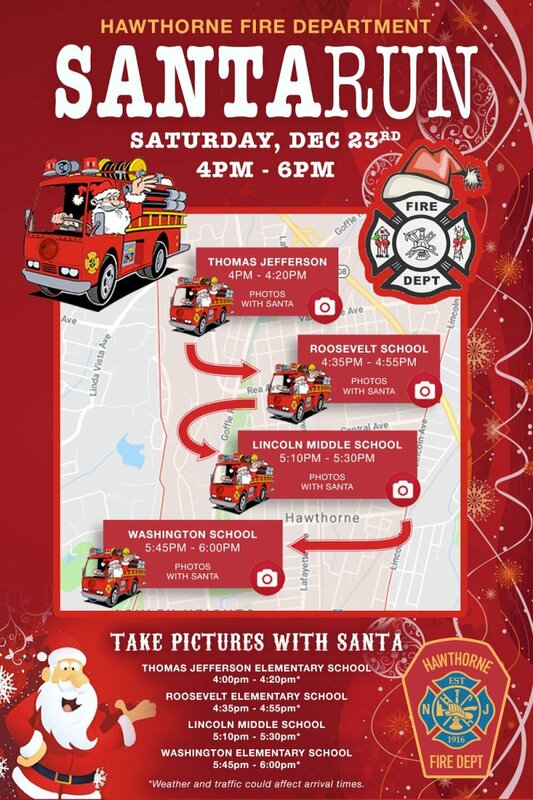 Apparatuses will travel to the following schools; Jefferson Elementary, Roosevelt Elementary, Lincoln Middle School and Washington Elementary, for pictures with Santa. Times are listed below.